Changing communications to reflect out of semester times including library opening hours and study spaces. Update on stock relegation - checking up on how much staff resource we have now that semester is finished to concentrate on this project and how much space we have for 'weeded' items to be held while they are checked and processed. Collated extra tasks list for staff and also started pilot of delegated tasks whereby other teams can request for assistance from Customer Services Team. Looked at statistics and what is needed for end of year summary. We are planning on implementing a new library Management System next year so we are at the beginning of the process. We have had some Project Board meetings and some SCURL/APUC meetings and are now starting the operational meetings. these are an opportunity for all staff to be involved and contribute. First meeting of the LMS Circulation, Document Delivery & Inventory operational group. Then another look at the SmartStock device which is the handheld device that is part of our Bibliotheca RFID / Self Service set up to use for stocktaking or weeding. We have not had much success so far as the file formats don't seem to match up. Had a look at it with our Systems Librarian and hopefully we've worked out where the issue is - now we have to get it reported and resolved. Then onto weekly Change Advisory Board meeting - not too many planned changes for this week apart from there will be network downtime on Saturday to upgrade networks and servers. To finish off the day I had a quick meeting about the latest plans for moving the 3hr loan collection to a different location. I've been reviewing the usage statistics and the number of items in the collection to see where would be the optimum location in order to improve accessibility. Customer Services Team Meeting - the advantage of out of semester time is that we can have a meeting at the beginning of the day when everyone can attend rather than having to split into two in order to cover the Service Desk. Thursday is my day when I'm based at the IT help-desk so went down there to catch up on what's been happening and if there are any issues that I need to help with or escalate. Then had a meeting to look at what we need to do to review the IT Helpdesk system that we are currently using to see if it is still suitable and doing what we want it to do. Also some of the nitty gritty like looking at forms that will integrate to create tickets and setting up new departments, users and permissions. Planning training for over the summer and for the beginning of semester. All staff in the team have filled in the spreadsheet confirming the training and development they have undertaken during the year and have sent suggestions for training that they think would be useful. I'm collating the list and trying to arrange times and also looking at how to put some of the training online. Meeting with line manager about staffing and about comments and suggestions and about inter-library loans. Checked up on social media channels and scheduled some posts for over the weekend. Checking up on usage figures for library over weekend especially as the VLE had been down the previous night. Spent the afternoon at the IT Helpdesk catching up on any issues and incidents. Interviews for VLE Manager post - on the interview panel so it was a really interesting day. It's a great job. It reminded me why I like learning technology so much and wish I had the chance to do more now rather than management stuff. It may prompt me not to get bogged down in what we do and what we are trying to do and instead go for introducing something new and innovative. After work went to a talk at the National library of Scotland about the spy novels of Graham Greene as part of Edinburgh University Spy week. ALT GPC meeting online. Google hangouts are working well for this sort of meeting. Second meeting of new Library Management System planning meeting looking at requirements of framework. Interesting but quite laborious and lots of concentrating on the details. Last day of semester and no meetings. The library was busy with students right up until the last exam - finally quieter today for the first time since September. The start of the Library Management System project looking at the overview of the project and roles within the project. First meeting of the Project Board and discussion regarding SCURL groups and operational groups. Discussions regarding Institute of Petroleum Engineering books that were transferred into the main library last summer but need stock checking as some discrepancies between what is shown on catalogue and what is on the shelves / out on loan. Items on the agenda were mainly around statistics and data collection and what should be included in a monthly dashboard for management. Meeting about IT Helpdesk system and access to the system for new groups of staff users including those from international campuses. Team meeting for daytime staff - updates on the quick survey about purpose of library visits, monitoring the library space, extra study spaces, weeding of stock, short loans, cleaning, training etc. Presentation by our Research Librarian regarding at Pure, open access and open data, and how we deliver / will deliver services relating to these areas. Looked firstly at the current services and the range of policies and activities surrounding them and secondly at how we can best deliver services, and how we work with other university services on these areas of scholarly communication. Spent the rest of the day at the IT Helpdesk as a catch up on what's been happening and current issues. Mainly catching up with emails and other day to day tasks. Last week, much time, effort and discussion, in our department and across the university, was focused on study spaces for students. Spaces within the library building and elsewhere on campus . 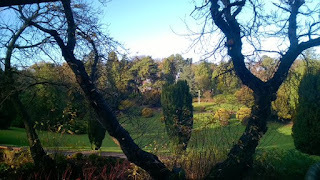 The library at Heriot Watt University Ednburgh Campus is popular, it is well used and is at capacity much of the time. There are 4 floors - the main entrance floor, which is floor 1, is general purpose. There is the Service Desk, individual study spaces, group study tables, study booths, bench tables and seats, soft seating and also the cafe. As we don't have a foyer area then there is also a tendency for groups to congregate and it is also a thoroughfare to other floors. The ground floor is silent study and journals and dictionaries and is the most clearly defined space. The second floor is the book floor with quiet study spaces around the perimeter, some individual study rooms, group study rooms and two quiet PC labs. The third floor is mainly group study tables but not exclusively as they are big tables on rows and can be used by individuals, small or large groups. There is also a large PC lab. Looking at it objectively , it is a good mix and we all, including students, make the best of it. It has a really good atmosphere but there is not enough space and it is not very modern (definitely 70s). Students want and need more study space. We have more seats than study tables which is ok from a social learning perspective but these should be extra to the quota not instead of. We manage and monitor the space well and always find spaces where and when needed. Semesters as opposed to terms mean that it feels like a long haul between January and end of May - and it is a long time to keep going for 19 weeks. But then the summer. However, before anyone mentions that it is quiet in libraries and universities over the summer, it isn't - it is just a different rhythm and a different focus. So, back to week 10. We're increasingly busy in the library building - we seem to have become the 'destination of choice' on campus and consistently have an occupancy of over 550 from 12 noon until late afternoon. If we count every single study space we possibly have, we have just 613 so there is a high demand for spaces. The noise levels have also been creeping up and our main floor which has the Service Desk , group spaces, study pods, individual study spaces, social learning seats and a cafe, has become a noisy hub of activity. 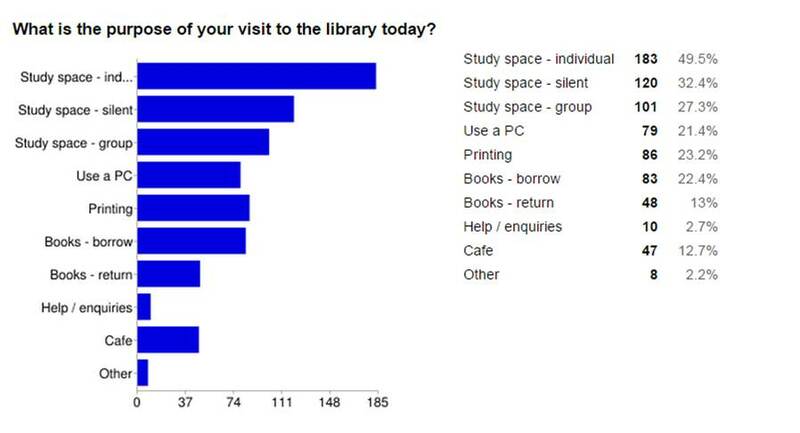 We will continue like this until after Easter and then will re-introduce the 'Making the Most of the Space' initiative when we monitor the library learning space. The aims of the monitoring are to reduce noise levels in the library and also reduce the practice of students reserving spaces by leaving unattended items. 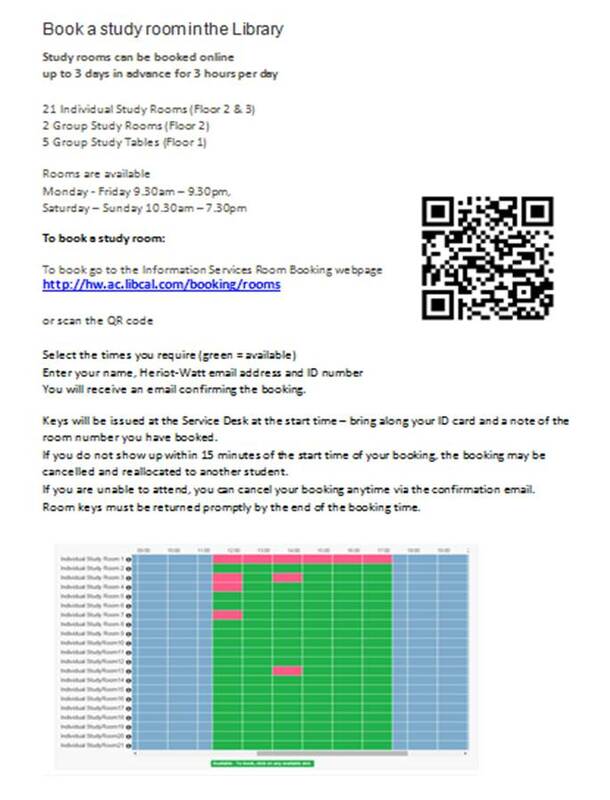 Our online booking system for individual and group study rooms is still in place and going well. Students have embraced the opportunity to book the rooms online in advance and the prime slots fill up quickly. We have a few improvements that we can make to the procedure and also we need to monitor how students are using the system - with the group rooms there is potential to book for more than the maximum 3 hours and we are relying on students being fair. From a staffing point of view we have been busy with PDRs (Appraisals) and hopefully these are complete now. I have spent sometime looking at the objectives to make sure that staff in the Customer Services Team feel that the objectives are relevant to them. I need to map them to the action plan more effectively in order for staff to be clearer how they can work towards their objectives in a practical way.